Be the first to hear about their new releases and deals. 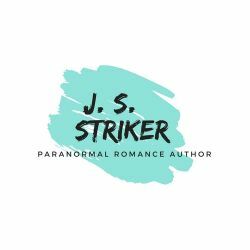 Download the Booksprout app and search for J. S. Striker today! J.S. Striker lives on the west coast with her hubby and 2 Great Danes. The coast is full of magical forests, the mountains and ocean often giving her inspiration for her stories. Having worked as a social worker most of her adult life J.S. is now giving writing all her energy and loving every minute of it.